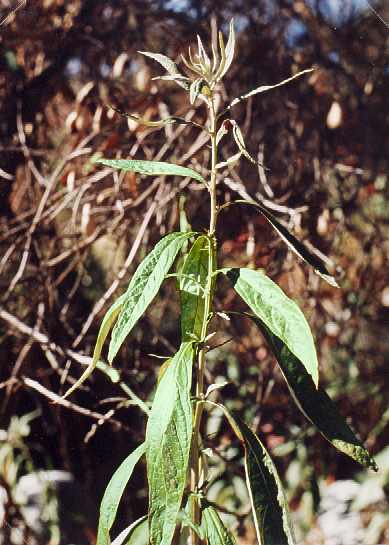 Notes: A native perennial, its leaves are dark green above and whitish below. 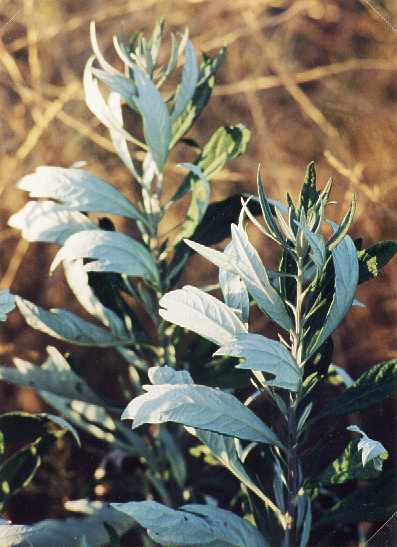 When the sun is shining it inverts its leaves so the pale undersides face the sun, reflecting most of the rays and keeping the plant from losing valuable moisture (smarter than some people). The leaves can also be rubbed on the skin as an antidote to Poison Oak. May grow to a height of 6 feet.